от 2000 шт. — 27.20 руб. 210 руб. 2-3 недели, 172 шт. 1 шт. 1 шт. от 10 шт. — 95 руб. 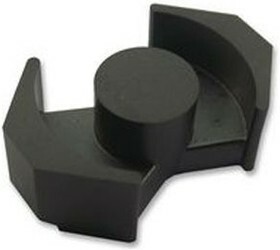 EPCOS B65819 RM7 Ferrite cores are increasingly required for power applications. These ferrite cores are designed for two major applications low loss, highly stable filter inductors and other resonance determining inductors. The other application is low distortion broadband transmission. IEC62317-4.